As the new NBA season begins, the Golden State Warriors find themselves in an unfamiliar role: villain. After the Warriors drafted Stephen Curry from unheralded Davidson College in 2009, fans across the country became enamored with his exciting style of play. Through the years, the team added players to complement Curry’s scoring prowess — Klay Thompson, Draymond Green and Andre Iguodala. In 2015, they won the NBA championship, ending the franchise’s 40-year championship drought. Last year, they broke the Chicago Bulls’ record for most regular season wins. But when superstar Kevin Durant left the Oklahoma City Thunder to sign with the Warriors during this past summer – turning an already dominant team into a “superteam” – the backlash was swift: “The Warriors Went From Heroes to Villains in Record Time,” The Ringer declared. I’ve been studying sports marketing and the psychology of sports fans for several years. Fans and executives often lament the formation of “superteams,” saying it’s bad for competitive balance and bad for business. But while these teams quickly become loathed, psychology research has shown that they also make us more likely to watch – and bask in the joy of seeing them fail. Among sports fans, how does a well-liked team become a villain? Why can the turn be so sudden, the vitriol so sharp? Scholars David Tyler and Joe Cobbs studied dozens different rivalries to identify the factors that contribute to especially intense and emotional rivalries. They found that rivalries intensify when one team becomes dominant, but also when it’s thought to have an unfair advantage. We’ve seen it in the vitriol heaped on the New England Patriots, a team that has made the playoffs in 13 of the past 15 seasons but has also been accused of bending the rules in the Spygate and Deflategate scandals. And we saw it when LeBron James went to Miami in 2010 to create a “superteam” with Dewayne Wade and Chris Bosh. 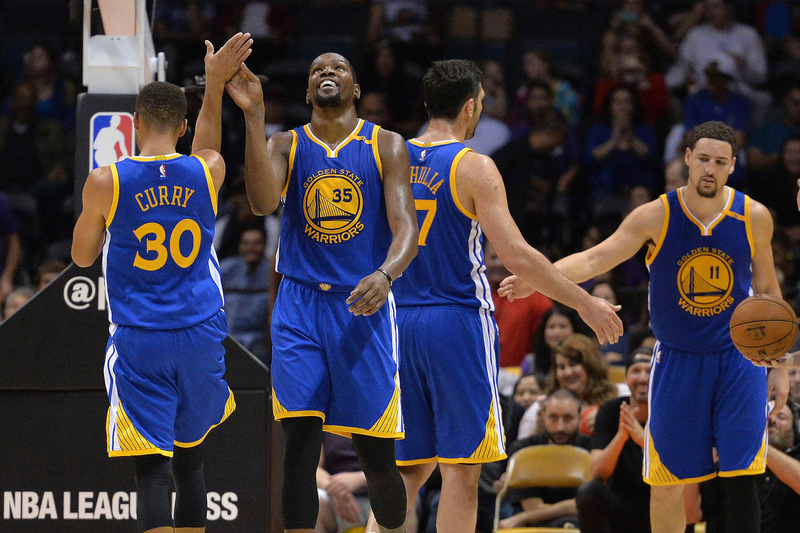 In the case of the Warriors, neither Durant nor the front office broke any rules. However, it’s no surprise that a superstar joining a rival team filled with other superstars – including the reigning MVP – might be seen as an unfair advantage. The rich have become richer, while critics have lambasted Durant as cravenly jumping on a championship bandwagon. With the addition of Kevin Durant, the Warriors look unstoppable. After Durant joined the Warriors, NBA Commissioner Adam Silver said he wasn’t fond of “superteams” because they hurt the league’s competitive balance, something league executives across professional sports usually strive for. The thinking is that more fans will be interested if they think their favorite team has a chance to win it all. However, Dallas Mavericks owner Mark Cuban was quick to point out that a team in the cross-hairs will generate higher interest and ratings. According to Cuban, fans who now loathe the Warriors will follow them closely, rooting for them to lose. The Affective Disposition Theory supports Cuban’s position. Originally introduced by entertainment psychology expert Dolf Zillmann, it’s based on the idea that people’s emotional engagement to a competition becomes stronger when they take a side. In entertainment and sports (and even politics), viewers determine who the “good guys” and the “bad guys” are – and root accordingly. While this can mean turning on the TV to root for the good guy, it can also mean tuning in to root against a bad guy. Many movies use a simple formula that capitalizes on this very idea: A liked protagonist, a disliked villain, a struggle between the two and, eventually, a triumphant victory by the hero over the villain. Of course, it is much easier to have the good guy beat the villain in a movie than in a sporting event. But this can also increase the excitement over the villain’s loss in sports: Viewers know it hasn’t been scripted in advance. Of the 31,544 people that voted, almost half stated they were going to follow the series because of their strong dislike for the Yankees. 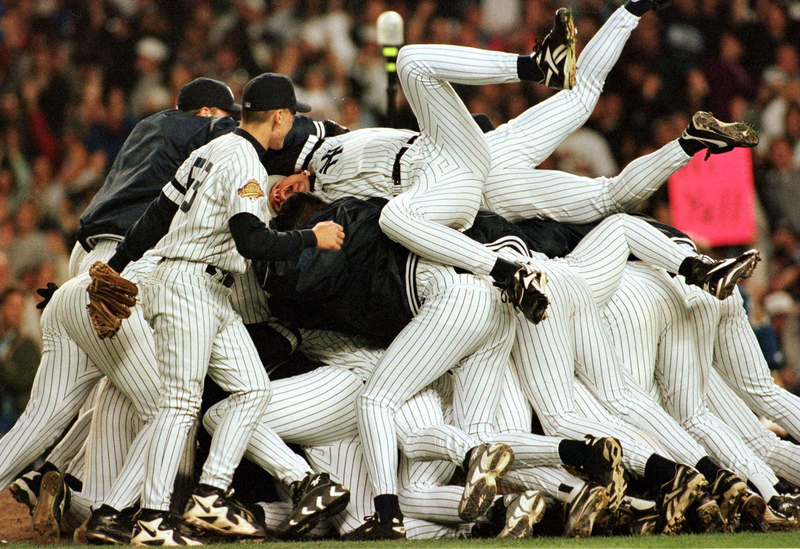 Baseball’s New York Yankees dominated in the late 1990s, winning the World Series in 1996, 1998, 1999 and 2000. That year, the Yankees would go on to lose the World Series, and the viewership for Game 7 remains the highest for a World Series-clinching game since 1991. In fact, the Yankees have played in seven World Series over the past 20 years. All of them are in the top 10 for most-watched World Series during this time span. Three are in the top five. By evoking strong emotions, thinking of teams as heroes and villains makes us more likely to tune in. They also affect our enjoyment of the viewing experience: While we’re glad when good things happen to the teams we like, we also feel happy when bad things happen to teams and players we dislike. There’s a German word, Schadenfreude – pleasure at the misfortune of others – for this emotion. Consistent with the Affective Disposition Theory, viewers’ interest in the show was partly driven by their desire to follow characters they disliked. “I got to admit I love to hate the bad ones; [they] make it interesting,” one viewer wrote. As expected, viewers wanted good things to happen to the characters they liked and bad things to happen to the ones they disliked. Not surprisingly, they celebrated or expressed frustration accordingly. Bottom line: In order to enjoy the victory by the hero, there needs to be a villain; for all the hate we heap on “superteams,” they increase the enjoyment of the viewing experience. As for the Warriors, they’ve probably already started to brace themselves for boos and taunts as they tour the country, with opposing fans rooting especially hard for them to stumble along the way.